This chapter describes a service-oriented framework for integrated design of eBanking architecture (IDEA) in the financial services industry. A pragmatic approach is developed to help facilitate sustainable design practices in migrating conventional n-tier online systems to a service-oriented computing paradigm, composed of Service-Oriented Architecture (SOA), Integration (SOI), Process (SOP) and Management (SOM). This comprehensive model comprises 5 modules, namely, Hybrid Methodology, Architecture Baseline Model, Service Patterns, Enterprise Service Model, and Domain-specific Model. A hybrid methodology is designed to leverage the benefits of both top-down and bottom-up approaches, in which a converging layer is conceived to incorporate the latest technologies such as portal, mashup, RIA, process orchestration, service aggregations, collaborations, choreography, business rule engine, virtualization, cloud computing, Web 2.0/3.0, and so on. A multi-tier architecture baseline model is constructed to cope with the architecture complexity in a disciplined manner. E-business patterns are applied to categorize diverse banking services, which form the foundation for subsequent selection justifications of appropriate technologies, platforms, products, tools, and infrastructure. Furthermore, common business functionalities are built in the enterprise service model as shared services to be reused across lines of business as well as delivery channels, along with the sharable technical services and infrastructure services. A domain-specific model for the Internet Channel is defined by operationalizing the hybrid methodology in a particular portfolio. In addition, a holistic reusable application platform is introduced to address the key design considerations and concerns in the implementation of service-oriented solutions. Various challenges and best-practice recommendations are also articulated in the context. Most financial institutions typically possess a heterogeneous information technology (IT) environment, resulting from a long history of mergers, acquisitions, and siloed builtouts with aging infrastructure, architecture, tools, and platforms. They are finding themselves ill-prepared to deliver timely enhancements or fast rollouts of new products and services as business grows. The required migration to a customer-centric view, coupled with the need for quicker turnaround time for systems improvements and releases, requires a more agile solution model and process as well as closer alignment with the business domain model. Banks must be able to tie together dynamic transactions occurring through different delivery channels and lines of business, which are usually supported by multiple systems and applications. Banking processes tend to converge on a platform that is scalable, flexible, reliable, responsive, and positioned for easy growth as well as one that supports multiple customer channels and customer-centric views. The financial services provided by a bank are generally accessible through a variety of servicing channels – branch offices, automated teller machines (ATMs), telephony voice response unit (VRU), Call Centers, snail mails, fax, emails, messaging, and web browser, to just name a few. The online services accessed through web browsers have played an increasingly critical role in the overall customer relationship management (CRM). The Internet channel has become an integral part of the business operating model, as more and more customers have been using online services like online banking and billpay in their banking activities. The next level’s goal is to present a holistic view of services and products to customers and prospects, and implement long-duration transactional processes with the session statefulness capability across the delivery channels. A number of diversified IT systems have been built or acquired over the past years to support a variety of banking business processes. Through the evolution and maturing of various technologies and products, drastically different platforms, architectures, techniques, tools, and programming languages have been used, which led to a complicated mix of applications in legacy monolithic, client/server, n-tier thin client, n-tier rich client, message-oriented, pervasive computing, and distributed computing models. The demanding challenges are threefold: 1) how to change the mindset to build new applications in a service-oriented fashion; 2) how to migrate the existing systems to a service-oriented paradigm; and 3) how to converge the IT assets to provide holistic services to various delivery channels. Several prevailing architecture frameworks and process models have been evaluated. Zachman Framework (Zachman 2002) is largely data-driven and is well suited for planning and management rather than detailed technical designs of an individual system. Rational Unified Process (RUP) (Kruchten 2003) is a heavyweight process-oriented approach primarily for software development, lacking a broad coverage on inter-application integration, application/project portfolio, system engineering, and infrastructure aspects. Extended Enterprise Architecture Framework (E2AF) (IFEAD 2004) takes a similar approach in Zachman Framework by using a 2-D matrix with a focus on the architecture part. The Open Group Architectural Framework (TOGAF) (TOGAF 2003) has a fairly comprehensive scope on the major elements in the architecture design. It is mainly targeted to the enterprise architecture area. Model-Driven Architecture (MDA) (OMG 2002) emphasizes the platform-independent model in addition to the platform-specific model, but it is limited to the qualitative architecture description at the conceptual level. 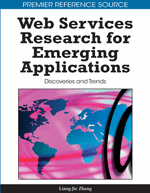 The Solution Architecture of N-Tier Applications (Shan, 2006) represents a multi-layer and multi-pillar reference architecture model for web-based applications.